I didn’t want to start my hike in Georgia otherwise known as NOBO because those typically start in March and April. My granddaughter’s First Holy Communion was in April, my grandson’s high school graduation June 5 and I definately wanted to be present for both. 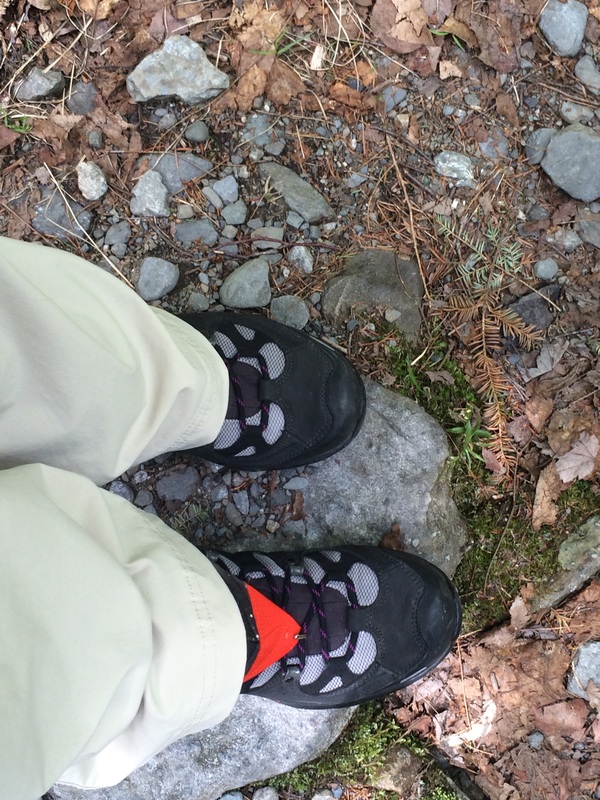 So I decided I’d start in Maine and head to Georgia thereby becoming a SOBO hiker. Technically I’m a “flipflopping SOBO” because I’m starting in Western Maine, working my way north to Katahdin, returning to my starting destination and heading south. Phewwww! That even confuses me. I wanted to begin my hike on June 7, my grandson’s birthday, because I knew it would be lucky and I needed all I could get. Few little problems loomed in front of me; I was waiting for replacement of a defective piece of gear and I hadn’t had the time to properly program my inReach Explorer, the satellite tracking device I’d purchased. Being a somewhat superstitious person, I was convinced that if I DIDN’T get on the trail on June 7, petulance, famine and warts would plague me. So bright and early (well perhaps not early), I took my first step onto the trail. Wow! Not sure what I expected but I was super excited.